The project will combine participants’ Apple Watch data with genetic tests, survey responses, EHR data and other health information. Early data from the Apple Heart Study is now in the wild, but others are still investigating how the Apple Watch could play a role in personal health and clinical research. 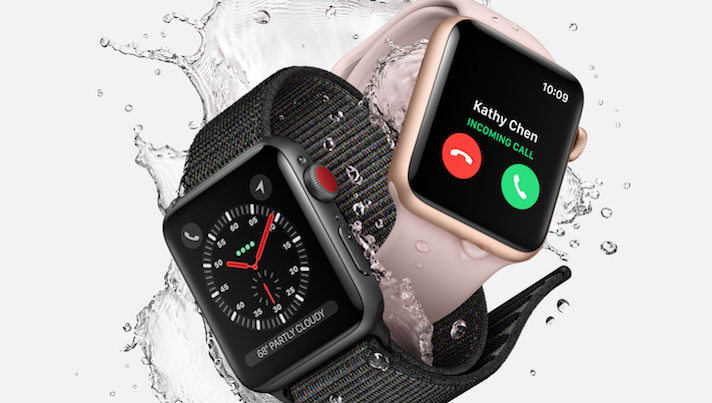 Just last week, the University of Michigan announced that it has launched a new three-year study that pairs Apple Watch user data with information from EHRs, survey data, genetic information and other health-related data. While the study’s primary goal is to better understanding the relationship between sensors, these data and individuals’ health outcomes, the university also plans to make the resulting integrated data pool available to researchers for future studies of these topics and other related areas of investigation. The MIPACT (Michigan Predictive Activity and Clinical Trajectories) study has already enrolled 1,000 participants, according to the announcement, with plans to bring in thousands of additional patients through the Michigan Medical clinical system. All participants in the study must be aged 18 years or older, own an iPhone 6 or later and be capable of using a home blood pressure cuff. The university and Apple will also be implementing “several new systems” to protect patients’ privacy and secure their personal health data, Sachin Kheterpal, associate professor of anesthesiology at the medical school and lead of the MIPACT study, said in a statement. “With the breadth of scientific expertise at the University of Michigan, we are uniquely positioned to explore how to integrate knowledge gained across participant surveys, medical records, wearables, genomics and lab tests to better understand daily experiences and long-term health, while ensuring safe use of this information,” Sachin Kheterpal said. Data generated by clinical sensors and consumer devices with health tracking capabilities are taking on a greater and greater role in care. The availability of a large, fleshed out database can fuel new research into precision medicine, and contribute to an increased understanding of disease development. “This study is a unique opportunity to work with patients to gain insight into their daily and overall health status, providing a wealth of data that can be used for research that benefits everyone and advances health care,” Marshall Runge, EVP for medical affairs and dean of the University of Michigan Medical School, said in a statement. Apple’s active role in the project may not be new (given that it helped spearhead the Apple Heart Study with Stanford Health), but it does suggest that the company will continue to support additional collaborations with academia going forward. Apple’s smartwatches have played a role in a number of research projects, particularly those focused on heart health and daily activity. And, of course, the largest such effort just announced its preliminary findings this weekend at the American College of Cardiology’s annual meeting. Looking ahead, new info on the multi-year research collaboration between Apple and Johnson & Johnson announced in January was recently made available courtesy of the project’s website. That study is a pragmatic randomized controlled study design with a 65-and-up participant pool. Researchers plan to open enrollment later this year.